Tomatillos are a key ingredient in fresh and cooked Mexican and Central-American green sauces. The green colour and tart flavor are the main culinary contributions of the fruit. Purple and red-ripening cultivars often have a slight sweetness, unlike the green- and yellow-ripening cultivars, so generally are used in jams and preserves. 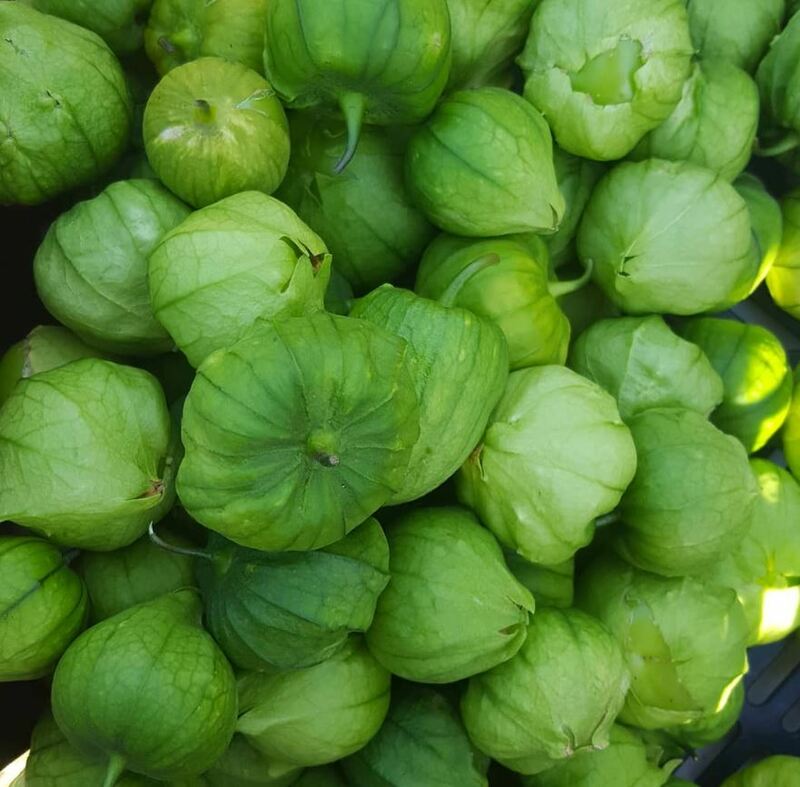 Like their close relatives, Cape gooseberries, tomatillos have a high pectin content. Another characteristic is they tend to have a varying degree of a sappy, sticky coating, mostly when used on the green side out of the husk. Tomatillos are a very good source of dietary fiber, niacin, potassium, and manganese. They contain 20 percent of the daily recommended value in vitamin C, 13 percent of the vitamin K, and a healthy amount of iron, magnesium,phosphorus, and copper. Silly good. The raw has a stronger, more vibrant flavour. Boiled creates this amazing earthy undertone, and roasted is just all thing rich and deep. Pick your poison, or create all three!